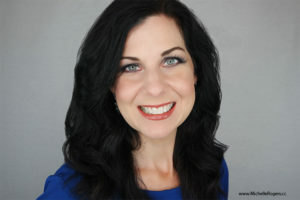 About Me - Michelle Rogers, Inc.
Now more than ever, effective marketing communications are critical to the success of an organization. That’s why companies rely on me to develop a smart strategy that works. Since starting my firm in 1995, I have worked with small businesses from a wide variety of industries, and with many nonprofit organizations. My professional experience also includes being the director of communications at one of the nation’s top graduate schools — managing public relations, media, marketing, advertising, publications and websites. In addition to this, I’m also a professional blogger. After lifestyle changes made a difference in my life, I launched a healthy living blog, broadening the scope of my business to include content publishing. The blog and extensive social media outreach have become quite successful, and I regularly work with brands on promotions. I look forward to getting to know you and your organization, and helping you accomplish your marketing and communications goals. Let me put my experience and cutting-edge knowledge to work for you. Contact me today, and let’s get started!